We all strive to be as healthy as we can; we eat right and are always looking to challenge ourselves daily with smarter workout plans to maintain or make us stronger. But at what extreme is too much? Quite often I see many of my friends pushing themselves with some unsafe workout body building exercises. In my opinion, one of the most popular and unsafe workouts would be bench pressing. Personally I’m not too excited about laying on my back and pushing up some kind of extreme weight over my chest only to risk injury or even death of it falling on me. Friends some of us find this hard to remember and despite what some think, we as humans are very delicate. Sure you could have someone spot you, but I personally won’t spot anyone because the risks are too dangerous and I wouldn’t want to be part of someone getting hurt on my error. Instead find a weight bench that’s stationed to the ground so if you drop the weight, it falls & hits the ground instead of your chest. This is just one of many unsafe don’ts in fitness. 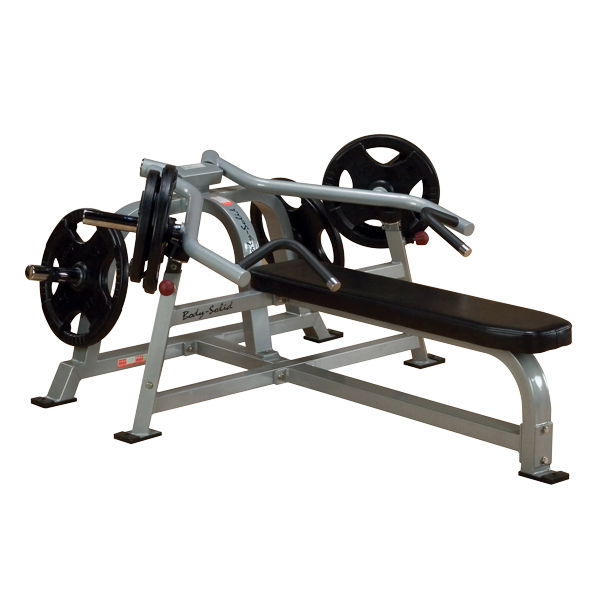 The photo here is of a safe bench press machine. Below are a few other exercises that aren’t recommended by the fitness professionals. · – Behind the neck pull-downs. · – Triceps dips with hands behind you on the bench. · – Jump on concrete surfaces. · – 45-degree leg presses. Never “lock-out” your knees on any leg exercise! When performing a leg press or leg-extension movement like squats or seated leg press do not fully lock-out your knees. Locking your knee joint transfers all of the weight from the muscle to the joint. The result is un-needed stress on the knee that can lead to injury. I want you to have the healthiest work out and preserve your joints for the future. Here are some other fitness machines to that can over-stress your joints: Seated leg extension, Seated chest fly, Seated hip abductor, Seated shoulder press and any abdominal machine. Work out safe and I will see you out and the races.